The biggest surprise win of the weekend was the Buffalo Bills not only beating the Jets in New Jersey but also blowing them out in the process. 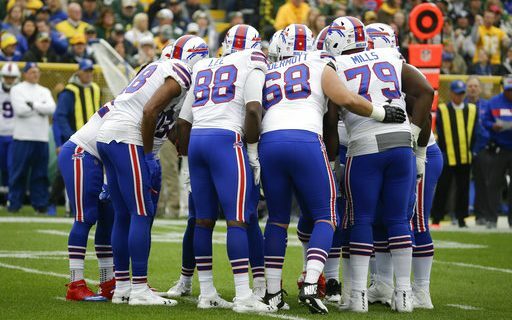 This goes to prove that when this Bills team concentrates on the task at hand they are capable of putting together 60 minutes of good football. The big question is why can’t they do it every week? Going into the game what looked like a big advantage for the Jets never panned out. Josh McCown is a very experienced QB and over the years he has had some very good games. The thinking was that with McCown at QB it actually gave the Jets a better chance to win than rookie Sam Darnold who was out with an injury. Then you figure that the Bills were going to play with Matt Barkley at QB, a player who had less than two weeks practicing with the Bills. How was he possibly going to go on the road and win an NFL game under those conditions? I am very familiar with Matt Barkley, I worked with Philadelphia as a consultant when the Eagles drafted Matt in the fourth round of the 2013 Draft. I was also in Chicago when he started a bunch of games for the Bears in 2016. His game hasn’t changed. Barkley is very smart, can read defenses and processes quickly. He has a quick delivery and can be very accurate with his short throws. He’s a move the chains type. He has limitations though. One is he has a very average arm. He just doesn’t have the arm to stretch the field. When he tries, more often than not bad things happen. 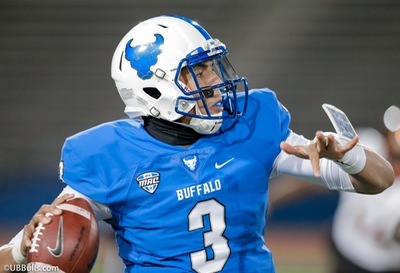 In 2016, he threw for over 300 yards in three games for the Bears but they lost all three, He also threw for a total of 10 interceptions in those games. The coaching staff cannot ask him to do things he can’t physically do. Matt Barkely can win if you have a ball control offense. An offense that can run the ball and be successful with short passes. Try anything else and he will get you beat. What was pleasing about yesterday, was not only did the offense perform but the defense may have played their best game since the Minnesota game. The Bills defense held the Jets to 199 yards of total offense. They got only 83 yards on the ground, sacked McCown three times and forced two turnovers. If they can come close to performances like that every week they will have a strong chance of winning. The Bills have a much needed bye this week. It will give them a chance to rest up and get people healthy. It also gives Josh Allen another week to rehab his injured elbow. Following the bye the Bills meet Jacksonville in Buffalo. The Jags were a favorite to win their Division but have underachieved. This will be an interesting matchup and we can find out just where the Bills are headed for the rest of 2018.